Eating for health doesn’t have to be expensive. And it’s some of the best medicine: for weight loss, for pre-diabetes, for cancer prevention, for cholesterol control. 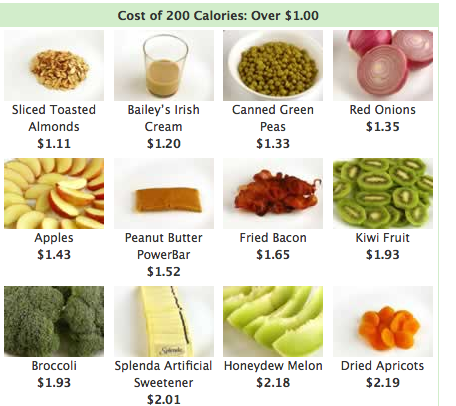 Courtesy of MyMoneyBlog are easy ways to understand the cost of calories. 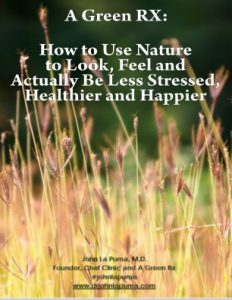 In speaking with health professionals about what is new and next in nutrition, and the power of writing recipes on prescription slips, the subject of how much food costs does come up, but it’s usually the last question, after those about resources, food prescriptions and prevention. For the food-buying public, cost is usually the first question. Getting real about the high price of cheap food is the biggest stumbling block for most people, and why not? The most precious commodity for many people is time, followed by immediate, check-to-check cost. Then food quality and nutrition. We spend almost as much away from home (48.6 percent) on food as we spend for food at home (51.4 percent), as of 2009. Saving health care dollars down the road often takes back seat to getting the kids fed, the car fixed and the job done. Mark Bittman persuasively and lucidly writes that the U.S. can save $1 trillion dollars by reforming the American diet. We’re eating 23% more in the U.S. than we did in 1970. And that’s just quantity: quality of calories also makes a difference (cool interactive info-graphic here, from Civil Eats). And there’s no better control of quality than your own hands. Could cooking could be a disruptive technology in health care?